A West Midlands engineering firm is celebrating a new contract worth £150k after receiving help from Green Bridge Funding. 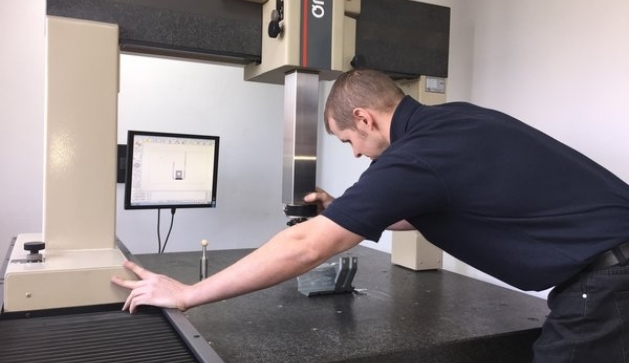 Pemberton Engineering, who design and manufacture press tools, were able to invest in a new Hurco CNC machine and create two new jobs. The Green Bridge Supply Chain Programme will run over the next two years and support businesses who want to grow. To gain funding the business must demonstrate there will also be an environmental benefit. In Pemberton’s case they were able reduce their energy bills, increase productivity and increase efficiency. The fund offers help investing in new equipment, relocation or expansion into new premises and improvements in systems or processes. Pemberton has created two new roles following investment, one of whom is an apprentice from Walsall Academy. In a reverse of the traditional apprenticeship, the young engineer, who is in his final year goes to school four times a week and then works in Pemberton on the fifth day. Darren said this is a really good way for young people to experience the workplace and I was impressed with Walsall Academy’s innovative approach.